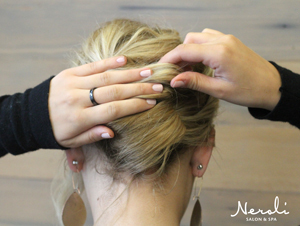 We’ve all been there—that moment when washing your hair seems like tacking a 14-hour climb to Everest. 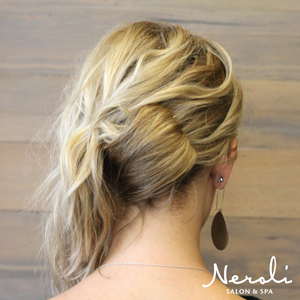 Fear not, we’ve got the perfect solution to make day-old-hair hair ready for cocktails with the girls Friday night, in a chic updo you’ll want to rock all year long. 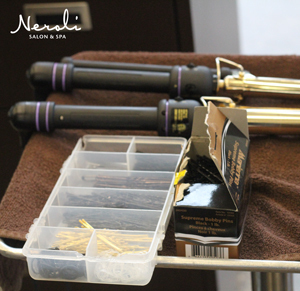 Tools needed: Light hold hair spray, bobby pins, and curling iron for loose waves. 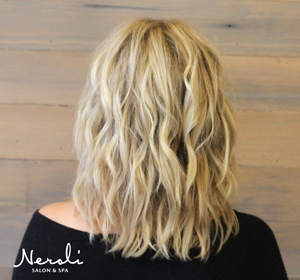 Step 1: Start with day-old-hair, or curled hair. 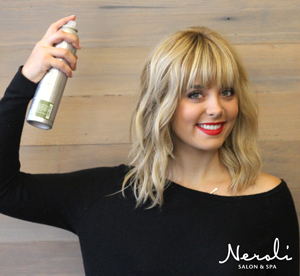 Spray with a light hold hairspray, like Aveda Air Control to give the hair grip and hold. 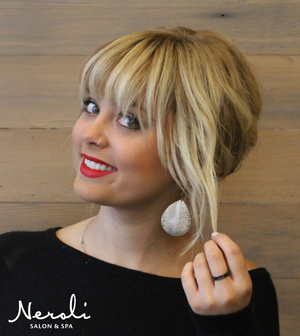 Step 2: Gather all of your hair to one side of your head. 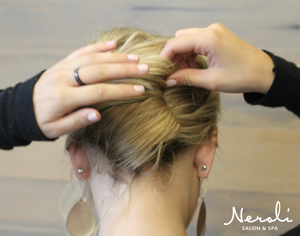 Using bobby pins, pin across the head. 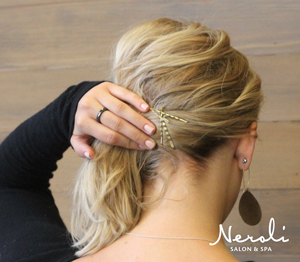 Crisscross the bobby pins for extra hold. 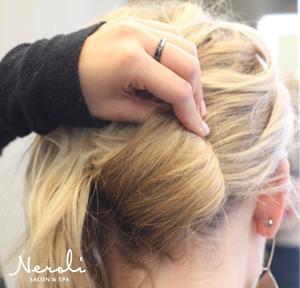 Step 3: Take the bottom half of the gathered hair and fold around itself and pin into place, creating a loop. 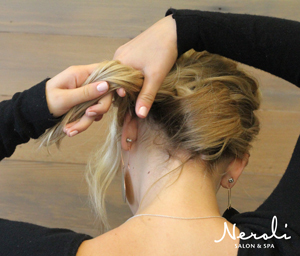 Step 4: Repeat with the top section of gathered hair. 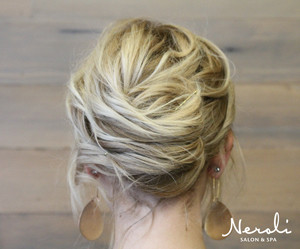 The messier the section and pins, the more modern the French Twist. Step 5: Next pull pieces out in the front to create a causal, more undone look. 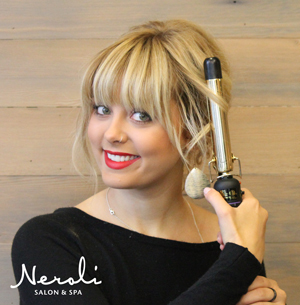 Touch-up front curls if desired. 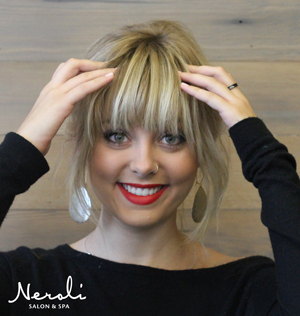 Step 6: Style bangs or fringe however you would like. 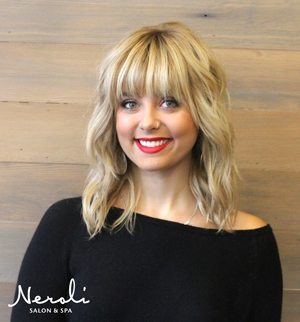 This blog was written by Neroli Salon & Spa Downtown Hair Designer, Grace. 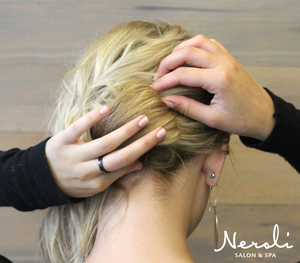 To schedule a special occasion updo, haircut or color service with Grace, call 414.227.2888.